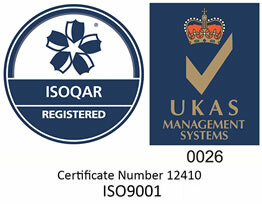 What are J1939 / Tier 4 / NMEA2000? 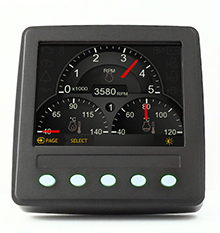 The M4 family of displays, formerly known as the 260 family, have become invaluable in an extremely wide range of applications; from weather stations to machines literally at the coal face, boat engine displays to performance monitoring on rock crushers, and many more diverse applications. 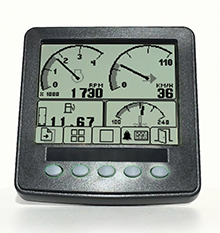 Now in its 3rd generation of hardware, the M4, formerly the 260 and M4h, formerly the 261, multi-function intelligent displays have been sold worldwide. 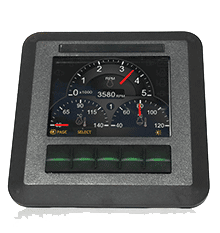 With thousands in service, they are possibly the most tested and widely used marine and industrial CAN bus displays in use today – rugged in its design with proven durability. 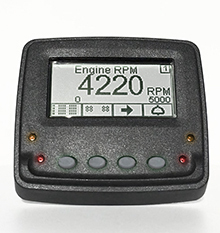 The M4, part of the M Series, is the market leading engine monitoring display with dedicated software specifically designed to work with the new breed of electronic controlled engines. 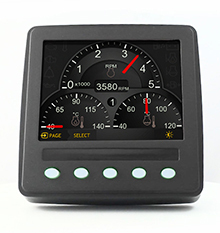 With full DM1 and DM2 alarm management, as well as multiple languages and configurable display formats, the M4 unit is the foundation of many customised versions of Veethree displays in use globally. 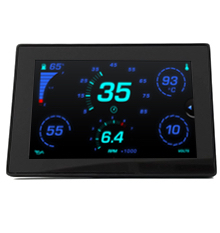 The M4h is capable of operating at lower temperatures with a heated LCD module operating down to -40ºC. The M4 operates to -25ºC, with both operating to +75ºC. The graphical user interface is easily configured to measure, display, store, process and transmit data using the powerful Software Developers Kit (SDK). High resolution graphics and illuminated user defined keys. FSTN silver backed LCD that gets brighter in direct sunlight. Variable backlight function for low light conditions. Automatic and manual display contrast adjustment. 3 independent serial Comms ports that can also be used together if required. Extremely rugged ABS case sealed to IP67 – up to 1 metre underwater. Sealed moulded 12 way Deutsch connector. Multiple screens with with internal sounder feedback. Ability to function as part of a control system. Front, rear and trunnion mounting options. 500mA output driver (M4h only). 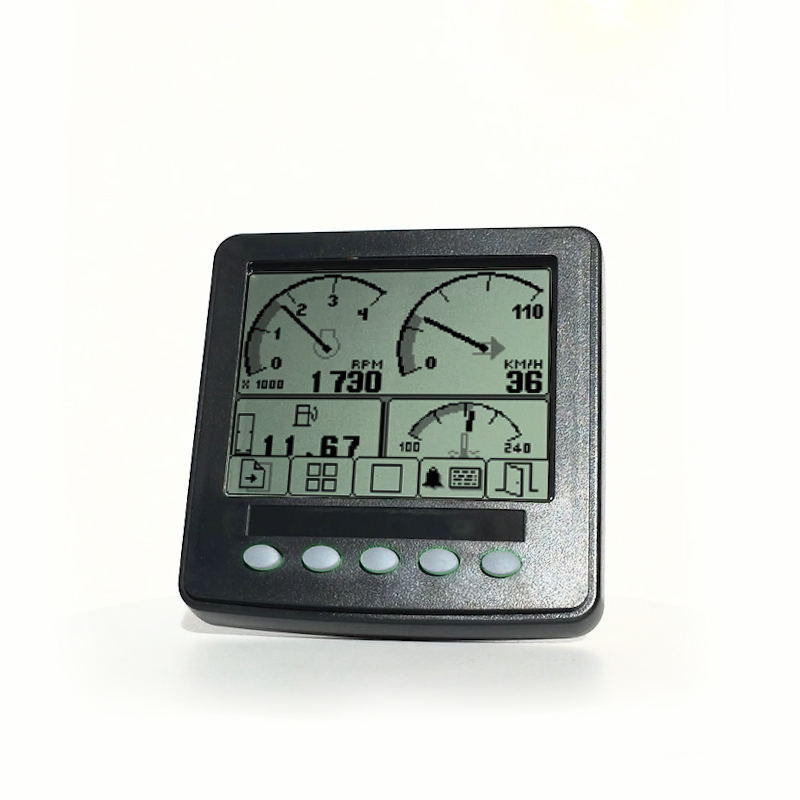 Special low temp option with a heated LCD module down to -40ºC (M4h only). To download a technical datasheet please complete the fields below. You will not be added to a mailing list! Read how we plan to use the data that you submit. All Veethree products are backed up by a dedicated and highly experienced team of software engineers, ready to draw up specifications for custom software, undertake the work, test the code and deliver fully functioning products. Kongsberg Maritime delivers products and systems for dynamic positioning, navigation and automation to merchant vessels and offshore installations. 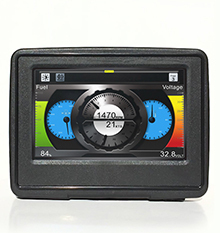 The Metasystems Division of Kongsberg Maritime was searching for a programmable display that could be used to show specific sensor data that measured shaft power and torque. The CAN 260 is integral in providing a pumping operating system that delivers peace of mind and enables valuable capital equipment to be run unattended. Prime Horizontal selected the CAN 260 for its outstanding durability, vital as the equipment is operated on site in a wide variety of condition. Veethree Technologies is a trading name of CANtronik Ltd. © All Rights Reserved.